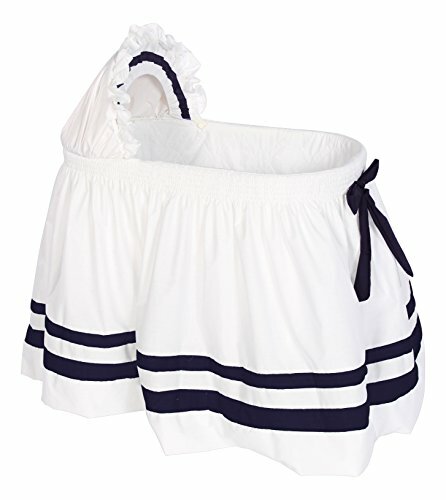 Our modern hotel style ii bassinet skirt welcomes your baby with luxury! boasting a beautiful full floor length skirt in a soft white poly cotton material, wide bands circle the lower end of the skirt in color. The smocked waist is finished with a sumptuous bow, and a sumptuous ruffled hood completes the surreal splendor! the perfect spot to lay you precious bundle!.